My friends and colleagues definitely would know me as the food doreamon. I always have food in my bag, be it snacks, sweets and even plums. I tend to get hungry very easily so I make sure I always have food in my bag. Snacks are like a big part of my life, but at the same time I don't really like cliche snacks like the potato chips. I love to try out different snacks and recently I was introduced to this Bite sized bread bites - Bruschette Maretti. 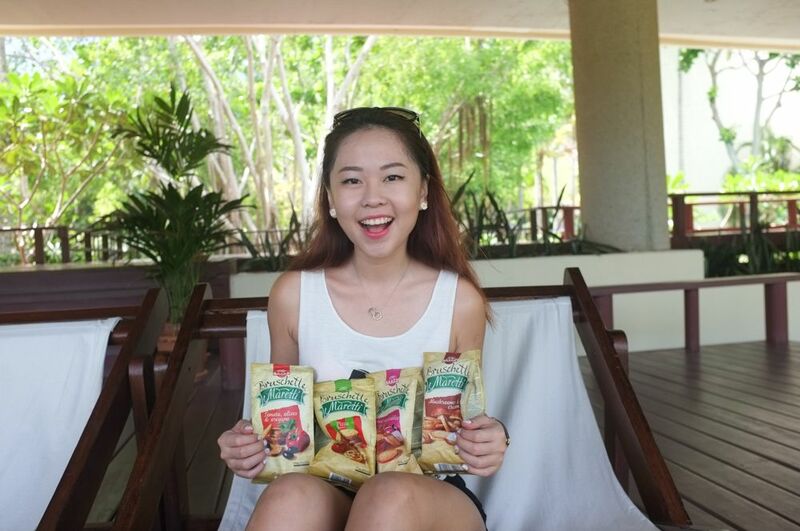 It's yummy and comes in many different flavours, great for those who wants a change in their snacks choices! If you have gotten sick of cliche potato chips, perhaps some oven-baked bread circles would appeal to you? Bruschette Maretti is an European Brand of oven-baked bread bites that has became an increasing hit in Europe, and also gaining its popularity in Asia. 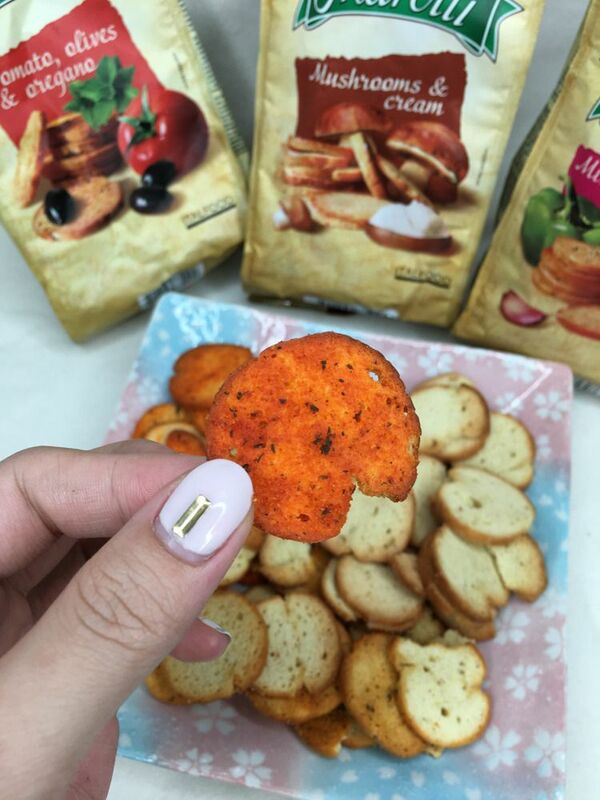 Some people like the savouriness of such oven-baked bread bites, while some like the crunchiness of this snack, like me! To me, most of the potato chips are beginning to taste boring to me. Most of them are either in seaweed, spicy or sour cream flavour. 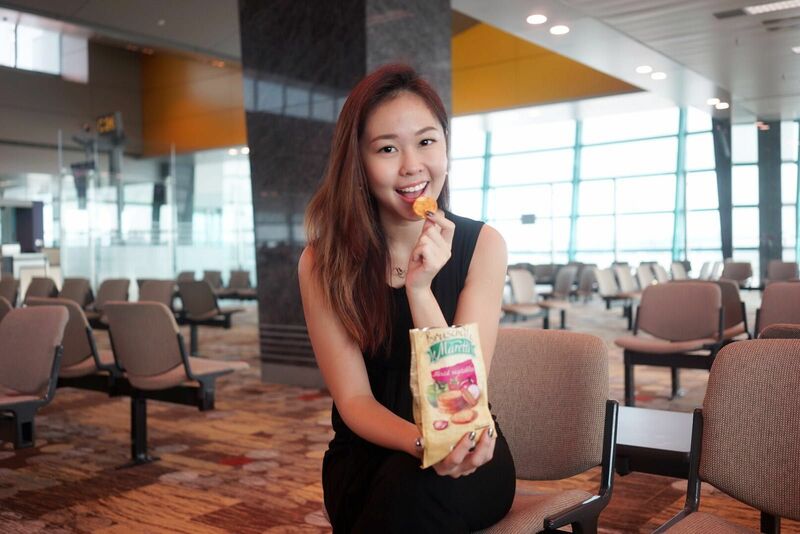 There aren't much snacks that use more ingredients than usual snacks to bring you a better taste experience. What I love about Bruschette Maretti is that each different flavours comprises various ingredients, including spices and herbs to make it more savoury and flavourful. If you like savoury snacks, this is made for you! Tomatoes, Olives & Oregano, Mushroom & Cream, Mixed Vegetables, Pizza and Roasted Garlic. And believe me, they all taste soooo finger-licking good! Mushroom & Cream: A tone-down flavour of cream mushroom flavour. Not too salty. Pizza: What else can I say about a classic Italian pizza? Nobody can say no to this! Mixed Vegetables: My least favourite because the flavour is the mildest one here. Nonetheless, vegetable lovers would love this! My favourite is actually Tomato, Olives & Oregano. I even bring it to office to munch on! Sometimes when it's past midnight and your tummy started growling, I tend to give in to snacks and this is definitely one of my choices. That flavour is actually my least expected one to be my favourite since there's olives and oregano, all the ingredients that I won't eat on its own. To my pleasant surprise, the snack came out well with a good mix of these ingredients! 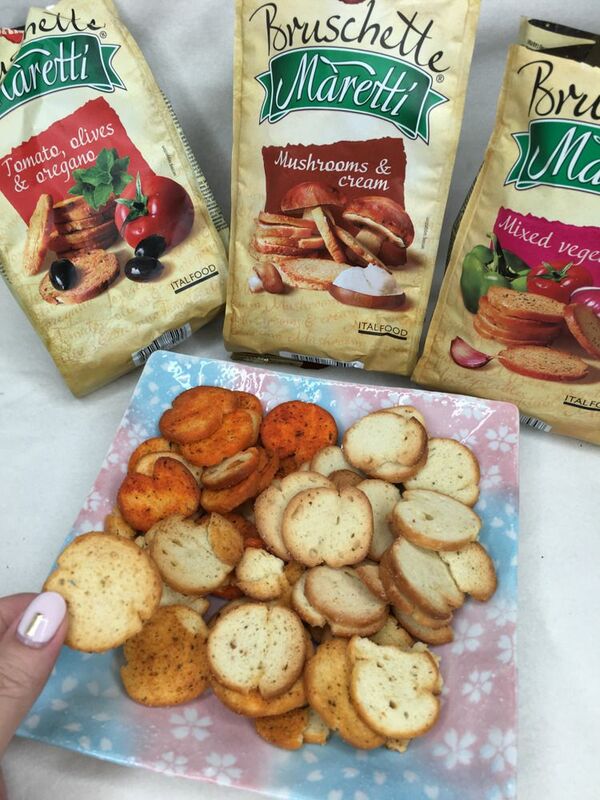 These yummy oven-baked snacks are also suitable for vegetarians and contain no artificial colours and preservatives. In fact, here's also a trick for your perfect midnight snack: break these oven-baked snacks into smaller pieces and they'll become croutons on top of your soup! Guess I have to stock up my food ammunitions soon! 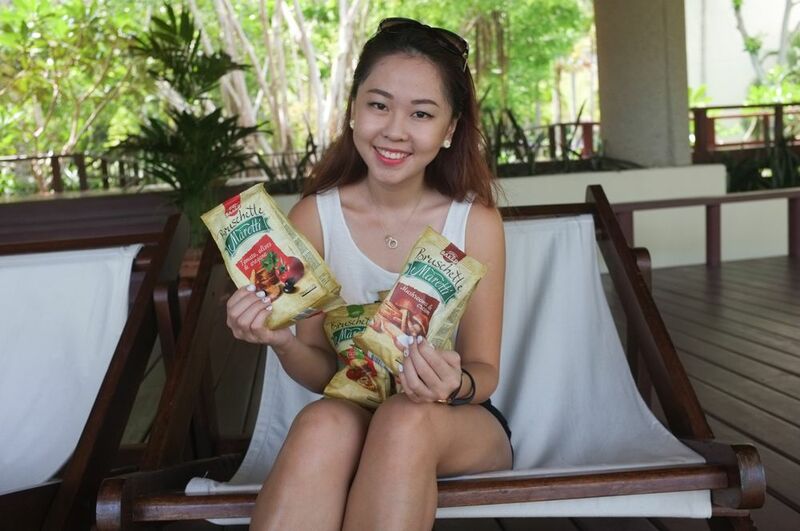 Bruschette Maretti is available in major supermarkets and convenience stores such as NTUC Fairprice, Cold Storage, Giant, 7-eleven, Cheers and more. Check Maretti’s Facebook Page for more info! 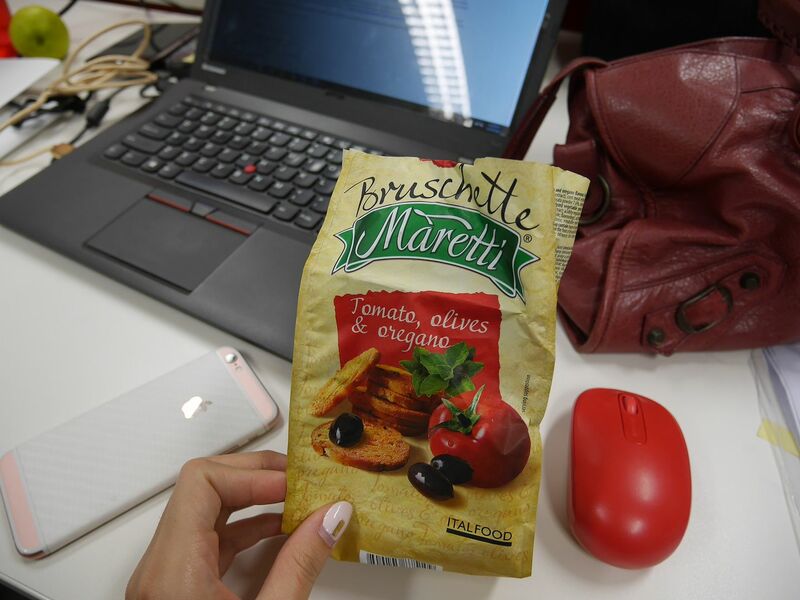 Big thanks to the team of Bruschette Maretti for sending these yummy oven-baked snacks over!